Money box has the added feature of a lock with key. 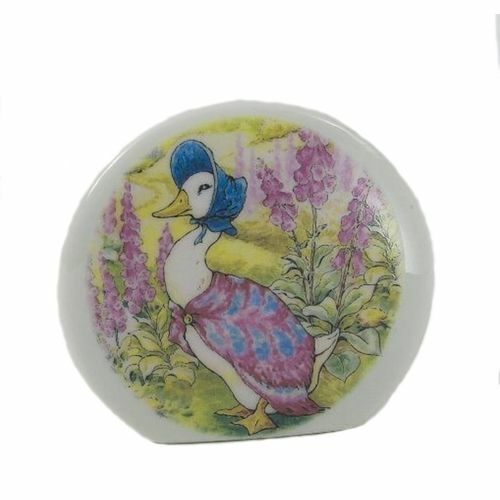 A beautiful round white porcelain money bank with an exquisitely detailed illustration featuring beloved childrens book character, Jemima Puddle-duck. Collectors will adore this highly decorative and functional piece.